We have some HUGE Summer Event savings going on this month! Be sure to stop by your local Sunny’s Pools & More retailer today to take advantage of these hot offers in our Everything Goes event! Exclusive sale of our Emerald Spa Overstock! Buy Emerald Spa Overstock up to $2000 off! Visit the local hot tub experts at Sunny’s Pools and More for answers to any of your hot tub questions. 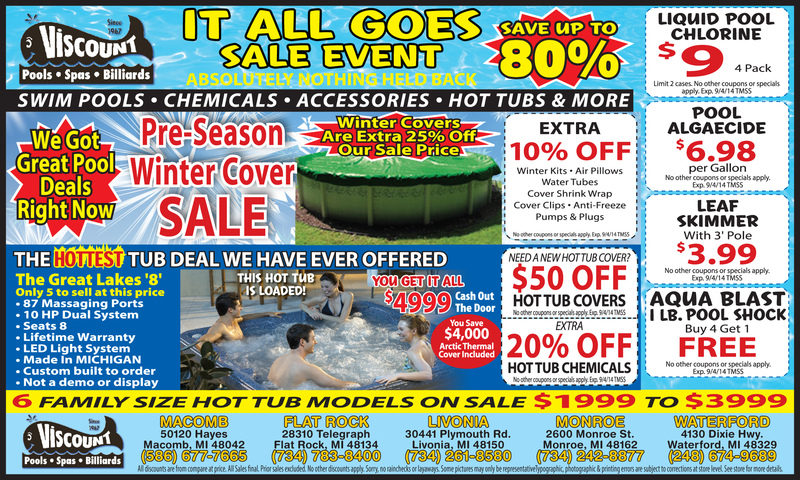 Also, we carry anything you need to help maintain your hot tub!